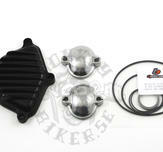 Monkeybiker Sweden - Engine covers, casings and accessories. 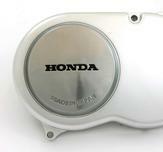 Home » Engines & Accessories » Engine parts external » Engine covers, casings and accessories. 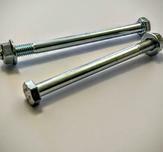 Stainless steel countersunk allen bolts including seal. 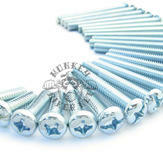 Replaces the old hopeless original bolts. A very good copy of the original cover to Dax. 6volt engine only. 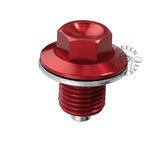 Fits all models with breaker point ignition. 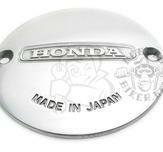 Polished alloy. A very good copy of Takegawas magneto cover. 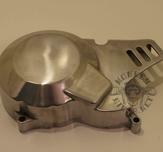 Stainless M6 domed nuts and washers. 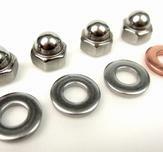 Price is for 4 nuts, 3 washers and 1 copper washer. 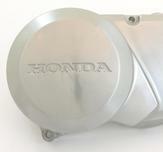 To fit Honda Z50, ST70and ST50 engines as well as Jincheng replica semi-auto engines. 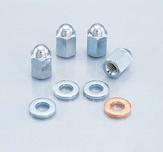 12mm thread. 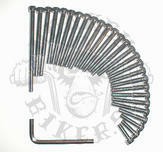 Available in red, silver and black. 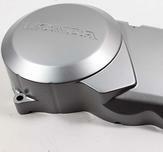 To Honda Dax ST50 & ST70, CT70, CF50 & CF70 (Chaly).